Every year, at the beginning of the Christmas shopping season, cardboard cartons filled with something called eggnog start sprouting up in the dairy sections of North American supermarkets. Anyone who has tried this " eggnog" can tell you that it is a thick, cloying, calorie-laden brew that tastes a lot like the cardboard it is presented in. Too bad, because real, home made eggnog, swimming in cream and laced with rum and ( my favorite) bourbon is a festive American holiday treat that bears no resemblance to its tasteless, cardboard cousin and is worth every calorie which is a lot. A cup of the stuff, depending on how much hooch is involved can carry close to a 500 calorie clout. 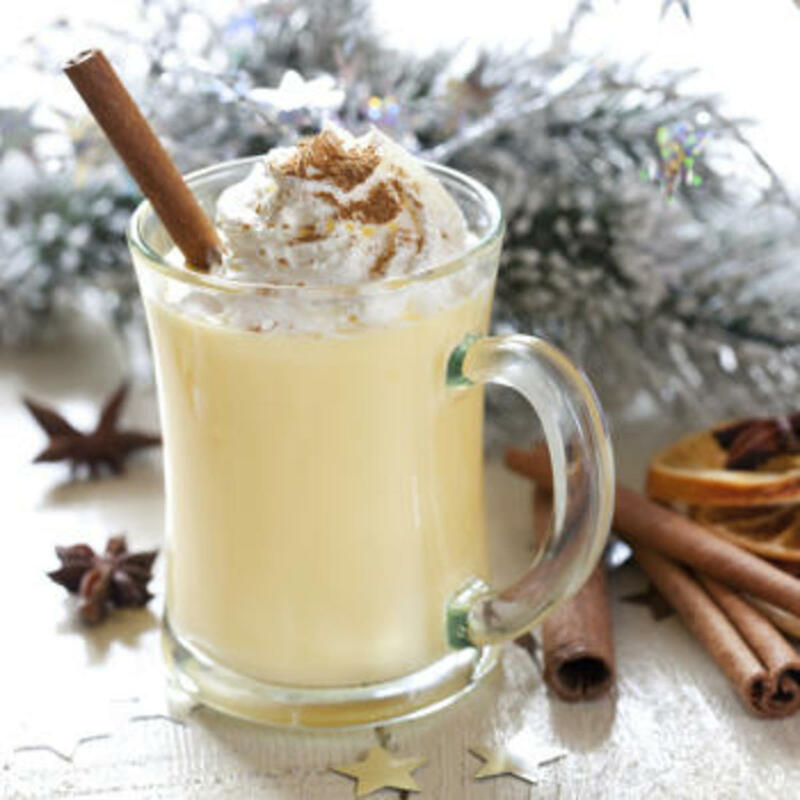 Eggnog has been part of the traditional American Christmas for at least two centuries. While it is generally agreed that the drink crossed the Atlantic with English settlers, it is unclear just how and when this happened. 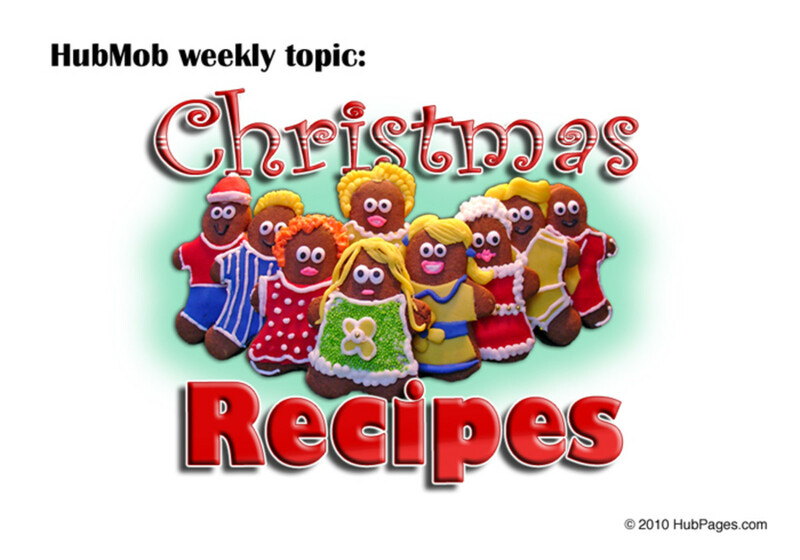 Nogs in Europe are not unknown and eggnog is perhaps related to a variety of "possets" and flips which go back to the Middle Ages. Eggnog was definitely part of the American Christmas celebration-- at least for the upper classes-- by the time of the American Revolution--George Washington served it to his Christmas guests at Mount Vernon. Check out George Washington's Eggnog recipe at this link. It is pretty clear that by the mid- nineteenth century, for upwardly mobile Americans, a gleaming crystal punch bowl filled with eggnog was as much a part of Christmas as a Christmas tree. What we also know is that this dreamy Yultide drink was freshly made in each home, allowed to cure for several days to permit the flavors of eggs cream and alcohol to properly meld, and served to guests in a chilled cut glass or crystal bowl. Clearly this was a drink of the afflluent for while rum and whisky were relatively cheap and plentiful in early America, eggs and cream were expensive delicacies and only the rich had money for punchbowls and leisure to drink themselves into a holiday mood at Christmastime. In the modern day, eggnog has trickled down to the masses, but sadly, most of us have never tasted real home made eggnog and only associate the drink with those cardboard cartons in the supermarket. Making your own holiday eggnog from scratch takes a little more time than opening up one of those supermarket cartons, but not that much more time, and the result is well worth the effort. First, here are the tricks of the trade that will make your homemade eggnog the best ever. chill everything, including the bowls and utensils like whisks and spoons and keep your egg yolk, sugar and alcohol mixture in the refrigerator for at least five hours to let the flavors meld before completing your eggnog. Make sure it doesn't get too warmed up sitting in the punchbowl too-- either serve it cup by cup from pitchers replenished from your fridge or make sure your punchbowl is in a cool place. Use really fresh ingredients. Organic eggs from free range chickens really do taste better and I recommend organic milk and cream too. Use light not dark rum and decent brands of bourbon and cognac-- no rotgut for Christmas punch OK? And now here is the recipe. It is an easy, modern adaptation that should give you a perfect eggnog. 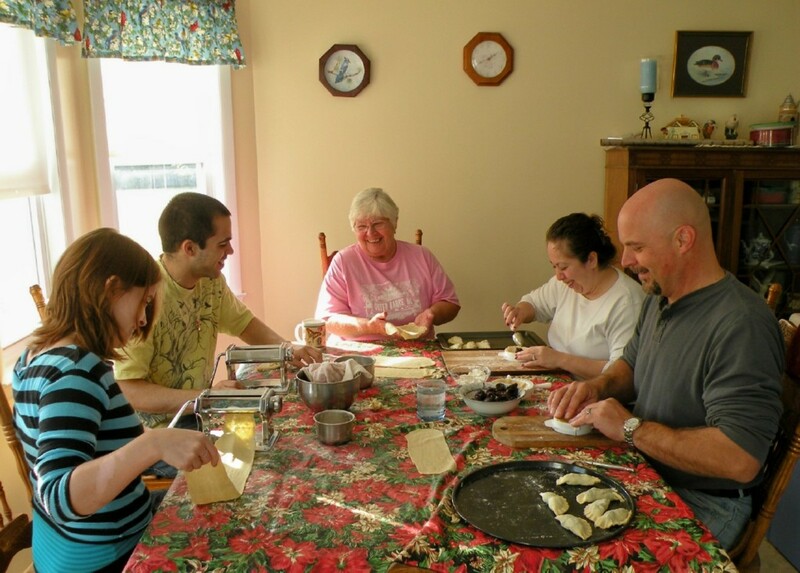 Separate the eggs-- set the whites aside in a large metal bowl. In a large mixing bowl, beat the egg yolks with a wire whisk until thick and pale yellow. Gradually add sugar to yolks while continuing to whisk. Now, beat in the milk and 1 quart of cream. Just before serving, beat egg whites until stiff. Fold into mixture. Whip remaining heavy cream until stiff and fold in. Sprinkle with nutmeg and serve from chilled pitchers or in a beautiful punch bowl. This recipe should serve about two dozen people. NOTE: It is important that you let the egg yolk ,sugar, and alcohol mixture marinate in the fridge for at least 5 hours. The alcohol kills any harmful bacteria in the raw eggs. As an alternative to this, or to make a non alcoholic version of eggnog, follow the recipe in the video below which shows you how to cook the egg yolk mixture to a custard-like consistency. It is not quite as historically authentic, nor do I like the taste quite as well, but if you are worried about salmonella or prefer an alcohol free eggnog, this is the way to go..
Whatever your holiday celebrations are, if they include eggnog, I'm hoping you will not fall for the cardboard tasting cartons from the supermarket, but will make your own from scratch. Whether you use my suggested recipe of one of your own, you will find that making eggnog becomes a family tradition and that any eggnog you make yourself definitely is the best in the world. Merry Christmas and happy eggnog. what to do with leftover eggnog? How about eggnog pancakes. Here's the recipe. I love egg nog. It is one of the things I miss about living in the US. I am going to try and make some following the 'non alcoholic' version. This puts me in the mood for eggnog! Thank you for sharing your know-how. I'll have to see if I can find any decent cognac around here so I can give it a shot. This looks and sounds so delicious. I've only had the cardboard version as well, and didn't like it so much. Voted up. Thanks Victoria Lynn-- we are totally on the same page about egg nog. My feeling is if I am going to spend those calories, I want the nog to be terrific not just OK so for me it is home made or none at all at holiday time. I love homemade egg nog. Was thinking about writing my own egg nog hub when I saw this one! You're right about the supermarket options. It's so thick and sweet-ugh. I'm bookmarking this one! Eggnog is not something we usually drink during Christmas in Sweden. We drink our "glögg" the traditionally mulled,spiced wine. However, my years in the United States has made me a lover of your loved eggnog! So now I make eggnog at home, to share with the Swedes! It's always a big hit. This year I'll like to try out your recipe. I know Chrsitmas has passed . . . but when I saw the title of your hub, I just had to look/read. Sounds delicious! A really delicious hub - I've always loved eggnog but never new how to make it = thanks Robie2 and Merry Christmas! Fantastic hub...perfect for the Christmas season! This is great|! I have wanted to try making my own eggnog and I will definitely do it this year! Thanks! I loved supermarket eggnog when I was a kid.I drink it very sparingly now, though. This recipe sounds fantastic and I'll probably have to give it a try before Christmas even gets near! OMG - this hub takes me back! I love eggnog, but its too high in sugar for my diabetic blood. However, 8 years ago when I was pregnant with twins (and blissfully unaware of my diabetes), I drank the - nonalcoholic version - stuff like it was going out of style. Now, I have eggnog lattes as an occasional treat. Got to try making my own! Delicious! Ah, Robie, you've made me feel guilty. I, like Jama, happen to like that eggnog off the supermarket shelf. With that much said (I'll be happpy to take a lashing from you), you've written this up so beautifully that I feel like I'm making the homemade version right now, in my head. This is very good news, because the chances of actually doing it for real are slim to none: that'll be the day I stand in my kitchen and separate 12 eggs! GW and all those other affluents had lots of cooks and servants to do all that for them. Lucky dogs. Now that looks good, only sugar and fat....yum! I might not be able to stay away from it. ahhhhh Jama-- yes one has to be careful with raw eggs which is why so many people cook their eggnog these days. But if you use organic eggs( less likely to be contaminated) and leave the spiked egg yolk mixture in the fridge for at least five hours,preferably longer, the booze kills the bacteria and your chances of getting salmonella are pretty slim. I used to make gallons of non-alcoholic every year but stopped when salmonella reared its ugly head. Had no idea until now I could be making my own without poisoning myself and guests in the name of holiday tradition! Thanks! 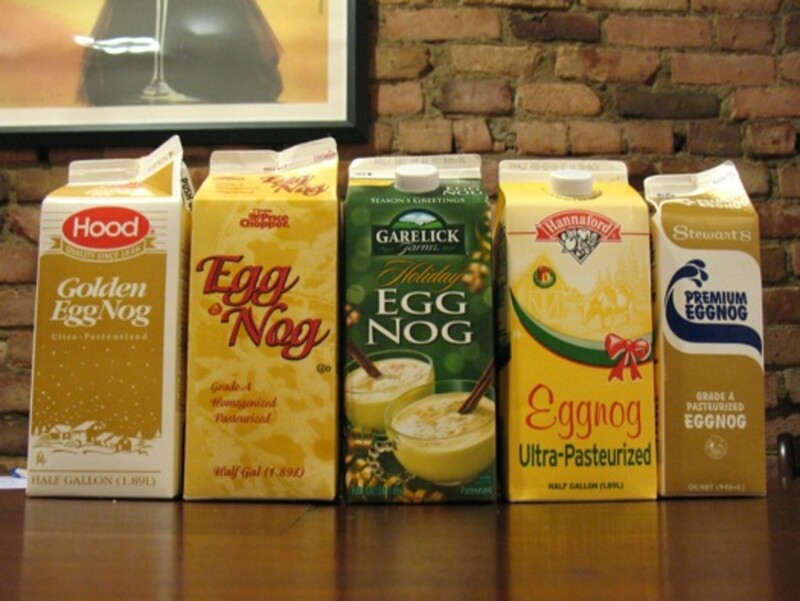 That said, I happen to LOVE the "eggnog" that comes in cardboard cartons this time of year. I don't really care that it bears little resemblance to the real thing. Whatever it's made of, I LOVE the flavor, meaning a carton doesn't last long at my house...IF I give into temptation and buy one, that is. Hi everybody-- you are all invited to my house for eggnog but UW- I won't promise you low fat LOL thanks for stopping by and commenting. Wow, Roberta, I'm coming to your house for Christmas. I love Eggnog and this sounds great.